Tanglewood is a well-proportioned family home which has been refurbished and extended by the current owners including replacement oak doors. 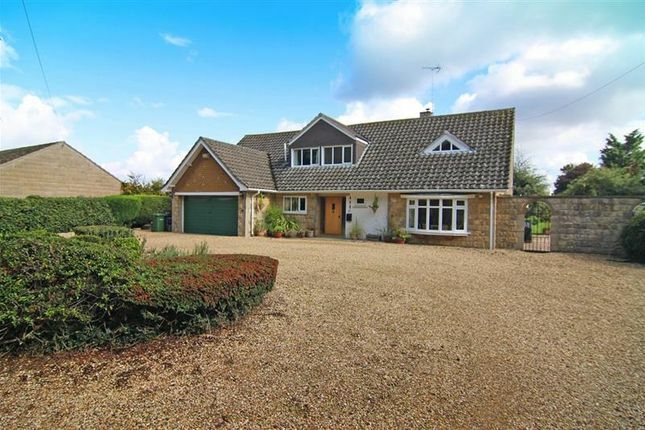 The property is accessed via a private driveway and offers flexible and spacious accommodation throughout. Tanglewood is a well-proportioned family home which has been refurbished and extended by the current Vendors including oak doors. The property is accessed via a private driveway and offers flexible and spacious accommodation throughout and briefly comprises reception hallway, inner hallway, sitting room, dining room, kitchen with pantry and utility room, three ground floor bedrooms (one currently used as a study) and downstairs cloakroom. To the first floor is the master bedroom suite with en suite and Juliet balcony, two further double bedrooms, double garage and good sized gardens and side courtyard. Reception Hallway - 13'4" x 13'2"
Fitted with a two piece suite comprising a low level flush WC, pedestal wash hand basin, tiled splash backs, tiled flooring, radiator and window to front aspect. Fitted with a range of built in cupboards, radiator, door to side and internal door to garage. Sitting Room - 23'0" x 13'4"
Dining Room - 13'2" x 9'7"
Bay window to front aspect, radiator and door to side aspect. Kitchen - 14'6" x 10'9"
Fitted with a range of base and wall units with roll top work surfaces over and under unit lighting, 1 ½ bowl sink drainer with mixer tap, tiled splash backs, space for cooker and dishwasher, tiled flooring, recess area with 2 windows to rear aspect and oak stable door to rear aspect giving access to garden. Utility Room - 8'2" x 7'0"
Fitted with base units with solid wood worktop and Belfast sink, tiled splash backs, space for washing machine and tumble dryer, radiator, tiled flooring, radiator, window to rear aspect and oak stable door to rear aspect. Bedroom 2 - 15'0" x 13'10"
Radiator and window to rear aspect. Currently used as a study with fitted wardrobe, radiator and window to rear aspect. Bedroom 6 - 12'7" x 7'8"
Previously used as a family bathroom with radiator and window to front aspect. Currently used as a further sitting area this light open space has windows to front and rear aspects, radiator and storage in the eaves. Master Suite - 18'2" x 13'6"
Walk in wardrobe, access to loft space, radiator, window to side aspect and French doors opening onto Juliet balcony. En Suite Shower Room 8'2" x 6'2"
Fitted with a three piece suite comprising a fully tiled shower cubicle with digital electric power shower, low level WC and pedestal wash hand basin, partly tiled walls, tiled flooring, chrome towel rail and window to front aspect. Bedroom Four - 12'5" x 10'0"
Storage cupboard, radiator and window to rear aspect. Bedroom Five - 11'4" x 10'5"
Storage cupboard, radiator and two windows to rear aspect. Storage Room - 10'8" x 6'6"
Fitted wardrobe and Velux window to rear aspect. This room could be converted to a study room. The property is approached via a gravel drive leading to a large in and out gravel driveway and double garage. To the side of the property is a large paved enclosed courtyard. The rear garden is mainly laid to lawn with a patio area to the centre with a variety of mature shrubs and borders. Integral Double Garage - 18'0" x 16'9"
Up and over door, storage cupboard and housing oil fired boiler and hot water cylinder. 5. These particulars are issued in good faith but do not constitute representations of fact or form part of any offer or contract. The matters referred to in these particulars should be independently verified by prospective buyers or tenants. Neither sharman quinney nor any of its employees or agents has any authority to make or give any representation or warranty whatever in relation to this property.